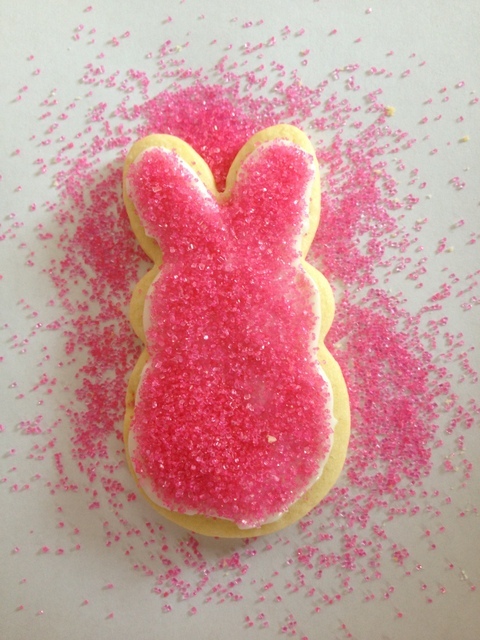 Cut-out sugar cookies covered in sprinkles & made to look like Peeps Marshmallow Bunnies! 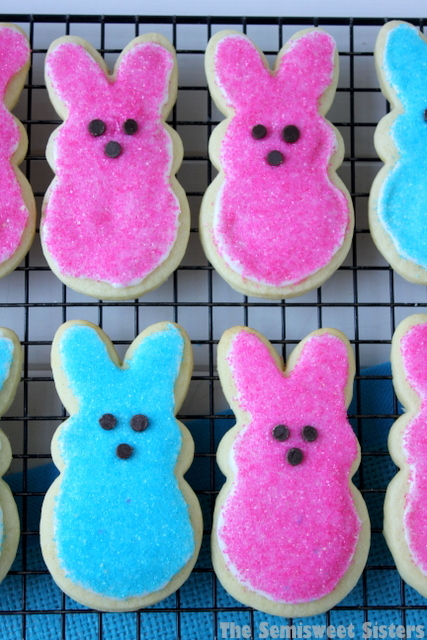 Peeps Marshmallow Bunnies are the first candy that comes to mind when I think of Easter candy. They always come in such eye catching colors, you can’t help but notice them at the grocery stores. My niece absolutely loves them! I think they are too cute myself, I love the bright pink, yellow, & blue ones & now they have even more colors like orange & green. 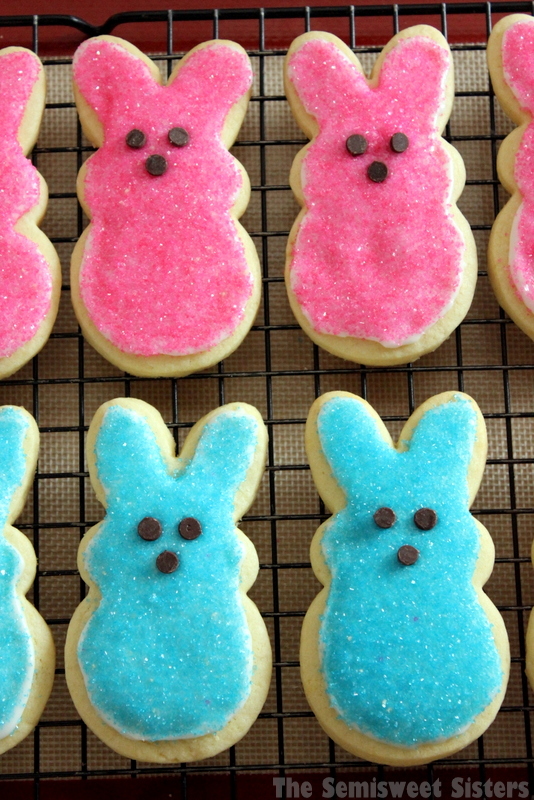 So if your like me & love the bright colored peeps then I think you will like making these sugar cookie look-a-likes. They were fun to make & you can make them any color you like. 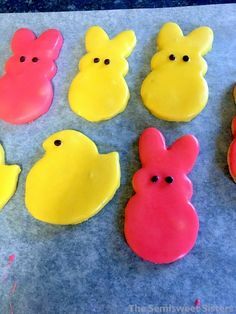 I used the Wilton brand PEEPS Cookie Cutter to make the bunny shapes, mine was purchased on Amazon but I’ve also seen it for sale at Target & I believe most of the craft/fabric stores carry it also. 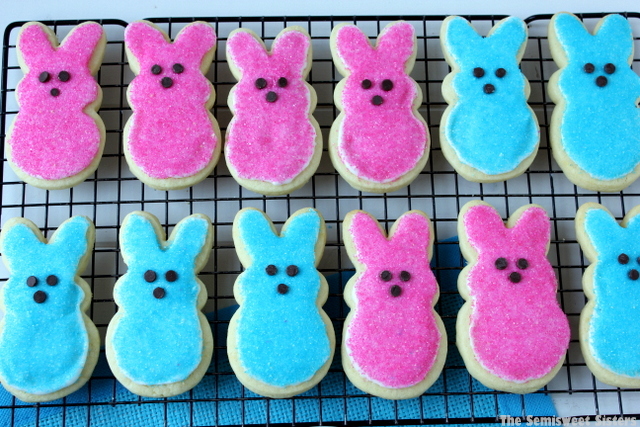 For this recipe I used my favorite cut out sugar cookie recipe from allrecipes.com. I love it because the cookies don’t loose their shape. 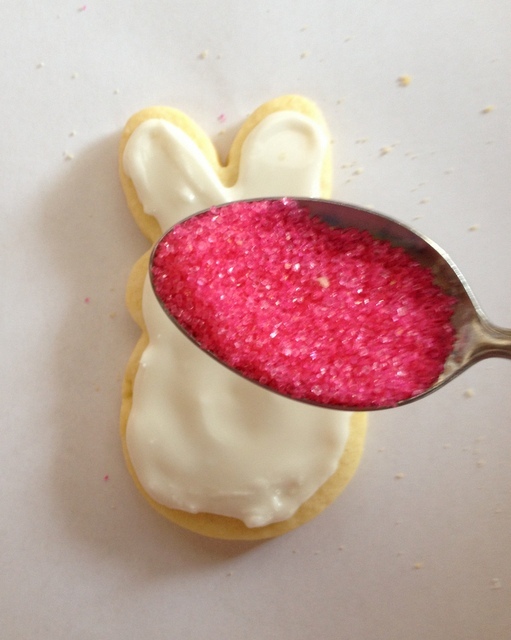 I used a simple sugar cookie glaze then I sprinkled colored sugar-sprinkles on top. I used mini-chocolate chips for the eyes & nose which I though was easier than trying to mix up some brown/black colored glaze. I used a knife to trim the tips off the chocolate chips so they would lay flat on the cookies. I used a knife to spread the sugar cookie glaze on. 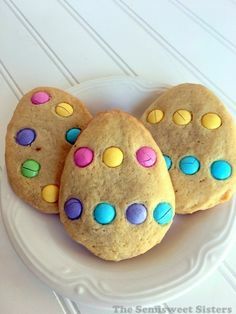 I placed the cookie on a sheet of paper & used a spoon to sprinkle the sprinkles onto the cookie. 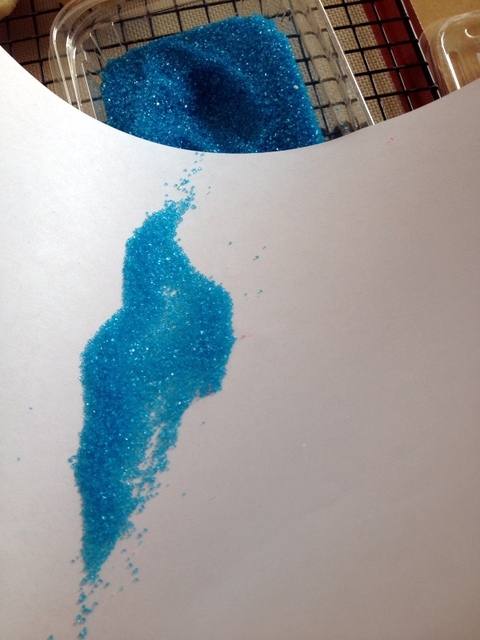 Then I tipped the cookie over on the paper to shake off the excess sprinkles. Then I put picked up the paper & poured the sprinkles that had fallen off back into a bowl to reuse for the rest of the cookies. 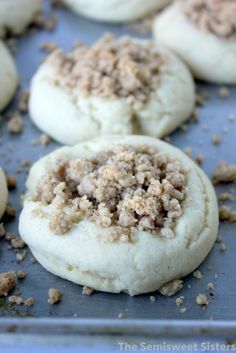 Mix softened butter & sugar together. Beat in eggs & vanilla. Stir in flour & baking powder. 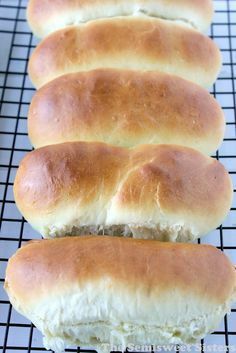 Cover & chill in fridge for at least 1 hour (or overnight). Preheat oven 400 degrees F. Roll dough out between two pieces of waxed paper, sprinkles with powdered sugar (to prevent sticking). Roll to ¼" thick. 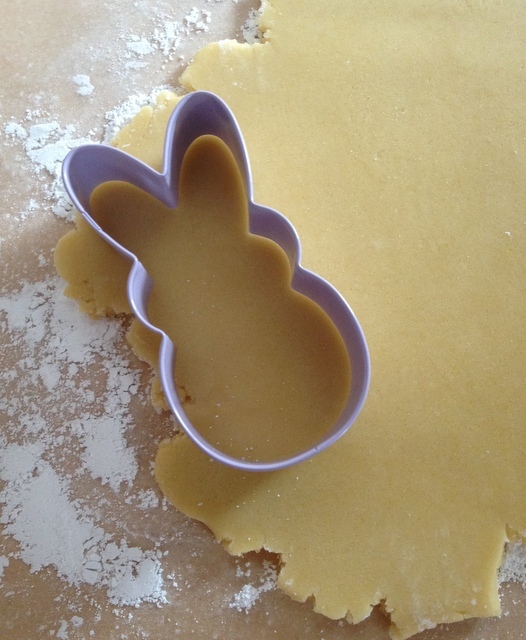 Cut into bunny shapes with a cookie cutter. 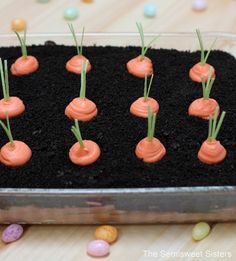 Place 1" apart on ungreased cookie sheets. Bake 6-8 minutes or until the cookies are set. After 5 minutes move to cooling rack & cool completely. Mix powered sugar, milk, & vanilla together until all the powered sugar is dissolved. 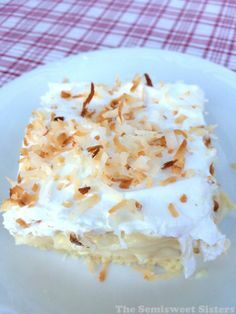 You may need to add a little more milk or powdered sugar to get the right consistency. You want it fairly thick so it doesn't run off the cookie.